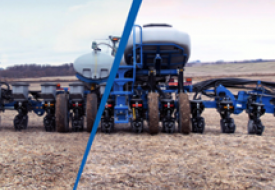 Stack fold convenience, meter drive dependability, parallel linkage frame durability, and many other features are packed into the Kinze 3140 stack fold mounted planter. 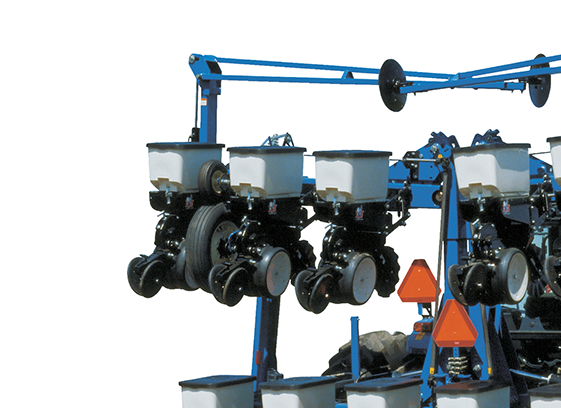 This 3-section, 12 or 16 row mounted planter provides the versatility needed for ridge-till, strip-till, gravity irrigation, and other specialized operations. 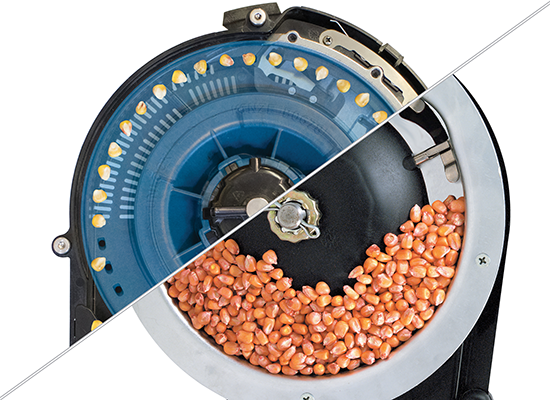 Optional dual lift assist wheels increase transport ease and stability. 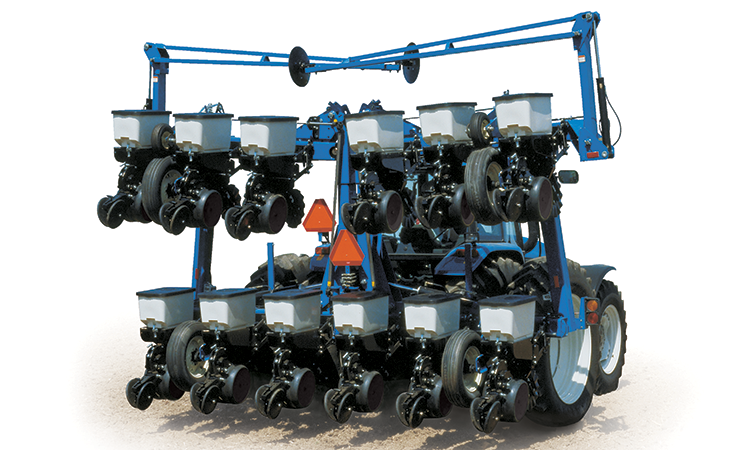 12 Row 36 - 38"
12 Row 38 - 40"
A key to consistent seed depth, good emergence and ultimately profitability, is a row unit that can follow the terrain. 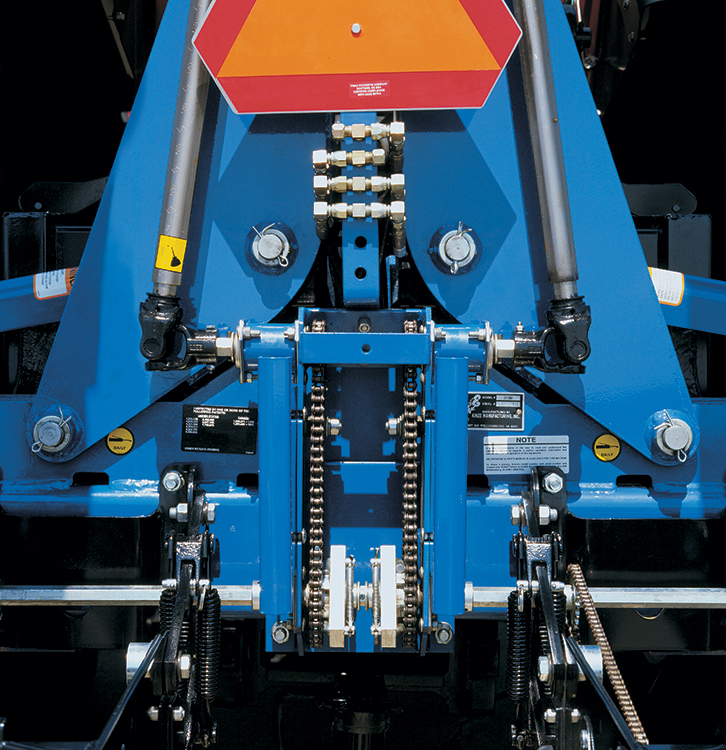 The patented frame enables the wings to flex 8˚ upward from the inboard hinge point. 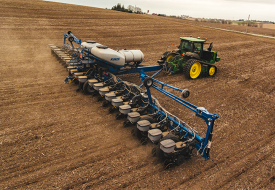 Additionally, the optional wing down flex cylinder package allows wings to flex 8˚ down for 16˚ of total wing flex. 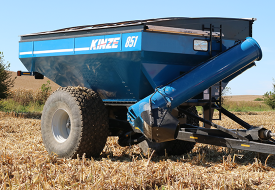 Folding is easy with the Kinze 3140. 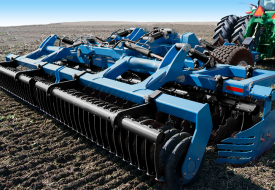 Equipped with telescoping U-joint shafts, uncoupling the wing drive from the center section is unnecessary when folding. 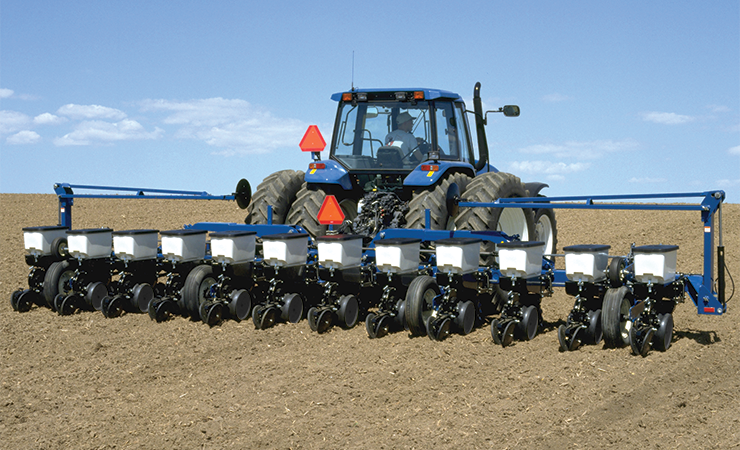 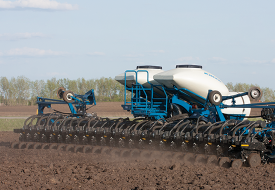 The 3140 mounted planter is the only planter in its class with spring-loaded contact drive tires, adjustable height wheel modules, self-contained seed rate transmissions, and a point row-clutch option.